Ethereum Classic Let's keep the original censorship-resistant Ethereum going! Let's keep the original censorship-resistant Ethereum going! We believe in decentralized, censorship-resistant, permissionless blockchains. 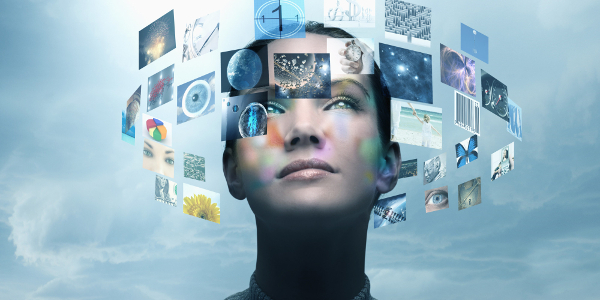 We believe in the original vision of Ethereum as a world computer you can't shut down, running irreversible smart contracts. We believe in a strong separation of concerns, where system forks are only possible in order to correct actual platform bugs, not to bail out failed contracts and special interests. We believe in censorship-resistant platform that can be actually trusted - by anyone. Ethereum Foundation responded to DAO debacle in the worst way possible. Special interests controlling the Foundation are ramming through DAO bailout hardfork against principled opposition of a significant economic minority of Ethereum stakeholders. According to (diligently hidden, pro-fork) coin vote on Carbonvote, 19% of ETH holders oppose this hardfork. Also, about 22% of Ethereum miners voted against the previous 'DAO softfork' and would logically oppose hardfork as well. Such a significant minority of stakeholders should not be silenced or intimidated into submission - they should be given a clear choice. If we want to continue to move forward and guarantee survival of the original Ethereum vision, we must fork Ethereum. This will lay the foundation to build secure decentralized applications that are actually censorship resistant. The main goal of the project is to ensure survival of the original Ethereum blockchain. We will strive to provide alternative for people who strongly disagree with DAO bailout and the direction Ethereum Foundation is taking their project. Anyone opting to remain on the original chain should have such opportunity. We fork Ethereum and maintain upstream patches similar to the relation between Redhat and CentOS, until a community can form around the project and create a road map. Until this happens we can fork multiple existing clients to help prevent a monoculture of clients. We plan to follow http://github.com/ethereum development except for any features they introduce into existing clients that violate the key principles of openness, neutrality and immutability. Please help us spread the word about this project in Ethereum community! If you feel strongly about the cause, please get involved. With just days before the planned hardfork, we need your support to ensure original Ethereum survival. 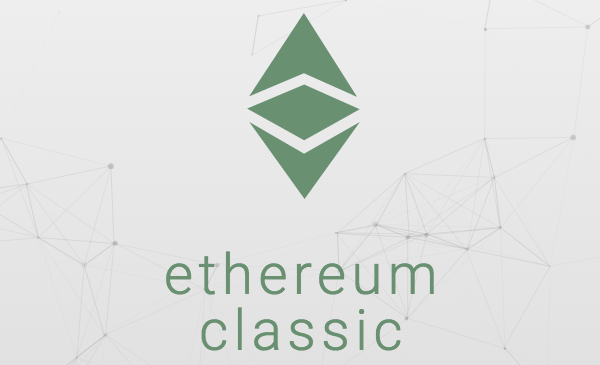 We need more developers, website designers, people who can write and advocate the need for Ethereum Classic. Please let us know what are your skills and how you would like to contribute. Redditors, please reply here. Github users, please open new issue. In order to remain on the original Ethereum chain, just don't upgrade to hardfork client version pushed by Ethereum Foundation. We will maintain non-fork versions of all major Ethereum clients (as well as other key software), so going forwards all the improvements will be available to you. Fun fact. If you keep ETH under your direct control (not in a 3rd party wallet or exchange account), you will have two sets of coins instead of one post-fork. You could then install a forked Ethereum client in addition to Ethereum Classic, copy your private keys there and use your coins on both chains! You won't be so lucky if your ETH are locked with 3rd party going into the fork - some exchanges already announced that they will only return one type of coin post-fork to its users. Miners supporting the original chain should just keep mining with current version of software for now, without upgrading to client version introducing the hardfork code. It will be always possible to download and build latest non-fork version from http://github.com/ethereumclassic. The difficulty of the original chain will be quite high post-fork, but it will adjust to actual hashrate shortly (just 2048 blocks, a few hours). Since it is expected that most hashrate will move to hardfoked chain, post-adjustment it will be possible to obtain decent mining rewards in classic ethers even with solo mining. We have mining pool supporting Ethereum Classic: http://ethc.epool.io. Because the difficulty adjusts quickly, it will be also quite possible to solo mine soon after the fork. If you intend to mine Ethereum Classic, please don't upgrade to geth 1.4.10 just yet, due to potential vulnerability. We will inform you when it's safe to upgrade. For now, just solo-mine with geth 1.4.9 or any earlier version, or use Classic pool. Most important question for traders is 'will ETHC have market price'? There are all reasons to believe that it will. Essentially, ETHC is an Ethereum 'spinoff coin' with a wide user base of all current ETH users. Some of them will see the value of transacting on a censorship-resistant chain, some won't. This creates interesting arbitrage opportunities for smart traders. Additional reasoning why EHTC is very unlikely to be 'worthless'. Both Poloniex a Bitfinex announced that they will assign their users both ETH and ETHC after the fork. This is a step in the right direction, now it's up to these major exchanges to enable ETH/ETHC trading that will no doubt be demanded by users. Decentralized exchange Bitsquare announced ETHC trading right after the fork. 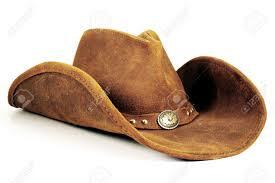 Other trading venues will follow since there is a strong business case. We are in touch with several other exchanges to add ETHC trading to their platforms. If your exchange is interested in ETHC trading, please contact us. Let's make sure original Ethereum vision doesn't just "go gentle into that good night"! Payouts have been setup and just run for the whole period. For the next few days payouts will be run manually twice a day, then changed to automatic mode once a three hours. Jaxx Blockchain Wallet Now Supports Ethereum Classic! Please be sure to update your miner config if you plan to continue using the Getwork Protocol. Change will likely take effect over the next few weeks or so. Fundonomy production servers now setup, and platform is being deployed for testing on public ETC chain. Reputation system being implemented using centralised mechanism for refinement for first public release. Wolverine, phase 1 release, is on schedule for public release. Key founding team will be made public soon. Hi everyone, thank you for checking out this week’s ETC newsletter! Big shout out and many thanks to all the developers, community members, users and investors. The proposal originally submitted by Snaproll is now officially onGithub as ECIP-1017. We also have anarticle from Dr. Seberino discussing the basics of currency and monetary policy. Thank you for taking the time to read and distribute this newsletter, looking forward to your thoughts. ETC Monetary Policy Proposal by @Snaproll is now officially out as ECIP-1017. Please see his full post from Githuband reddit. Monetary policy discussions are still in progress on many platforms. However, most of the conversation seems to be taking place on Slack in the #monetary_policy channel. Please join us on Slack. For more information on community participation, please see this call to action post for guidance. Let’s talk ETC! Tuesdays at 7:30pm EST. Every Tuesday at 7:30pm EST we will be discussing what’s going on in the ETC community and beyond. This week’s show (11-22-16) will feature a special guests from the ETC mining community. We will be discussing mining as well as other of blockchain centric topics. A link to the channel/show will be posted below, if you have ideas or questions please let us know. Thank you for subscribing to our latest updates and announcements! Article about the basics of currency released by Dr. Seberino. “Call To Action” still in effect. Looking for community contributions for the ETC Wikipedia page. Reddit user “bitp” has brought it to the communities attention that the “Ethereum Classic” Wikipedia link currently redirects to “Ethereum”. ETC community member /u/FaceDeer was previously a Wikipedia editor and has provided some insight on what should be done moving forward. 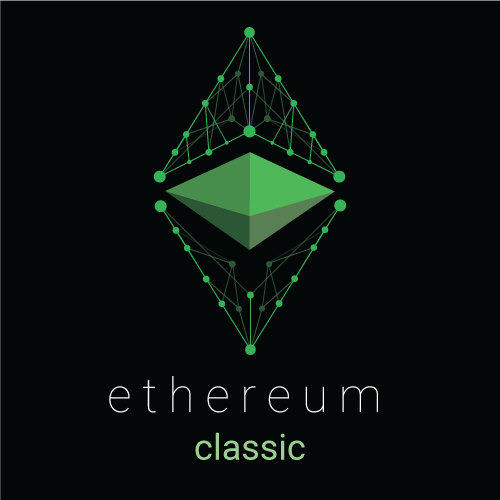 One of his recommendations is that we start the process by adding to the Ethereum Classic section that is currently on the Ethereum Wikipedia page. ETC can then be given its own page after volunteers have submitted enough info. Please see his full post in the reddit thread linked below. Reddit /r/EthereumClassic - 2,838 subscribers. Top 5 miners by average hashrate from the previous 7 days. What can I do to help Ethereum Classic project? Ethereum Classic is a Decentralized Project. Website content Public Domain CC0 License. Let's Talk ETC! (Ethereum Classic) - Episode # 4. The Event will be hosted by one of the leading financial services law firms, Eversheds LLP, at their London St. Pauls Head Quarters. We are also in the process of confirming speakers and panellists from BTC and ETC community. Also, thanks to all the support from the Bitcoin community. Together we will Make Ethereum(C) Great Again! Hi everyone, thank you for checking out this week’s ETC newsletter! Big shout out and many thanks to all the developers, miners, community members, user’s and investors. This week’s newsletter features some hints about a new team that will be joining the ETC community called “The Grothendieck Team”. We are still keeping the monetary policy update from previous newsletters since it’s still the focus of many discussions throughout the community. We also have info about the upcoming ETC event in London, another article from Dr. Seberino and an article about governance models by Luis Molina. Thank you for taking the time to read and distribute this newsletter, looking forward to hearing your thoughts. IOHK is nearly finished with its vetting and onboarding process for the development team known as the “Grothendieck Team”. The team has been named after Alexander Grothendieck, a German-born French mathematician who became the leading figure in the creation of modern algebraic geometry. They have been committed to Ethereum Classic by IOHK in order to build a Scala client for ETC based on IOHK’s Scorex framework. An official announcement featuring the teams, background, past/current work experience, and bio will be posted in various channels. Plans are in place to bring the team on “Let’s Talk ETC!” to discuss the roadmap and development timeframe for ETC in 2017, after they have had the chance to review all relevant ETC documentation properly. Links to the IOHK website, Scorex github, Let’s Talk ETC youtube channel and ETC blog are posted below. Also, we would love to know more about how the community would like to interact with and get reports from the new ETC developers. Please reply to this newsletter with ideas and requests for what you might like to see moving forward. You can also post your thoughts in this brainstorming thread from reddit. “ECIP-1017 proposes a solution to the Ethereum Classic Monetary Policy to adjust, with finality, the current emission schedule implementation of 14.0625ETC per block in perpetuity. The solution proposed introduces a theoretical upper bound on the maximum absolute number of ETC and introduces a method of degraded emission over time. In addition, this ECIP describes the requirements associated with maintaining this emission schedule through a potential change of the network’s consensus algorithm, from its current Ethash based Proof of Work to a possible POS or POW/POS hybrid model.” Please see the full post from github and reddit at the links below. Monetary policy discussions are still in progress on many platforms. However, most of the conversation seems to be taking place on the #monetary_policy channel on slack. Please join us on Slack using the following link. For more information on community participation please see this call to action post for guidance. ETC event in London scheduled for December 13th! Update on what has happened so far in the ETC Ecosystem. Planned monetary policy hard fork and why it matters. Panel discussion on monetary policy, economics and the future of cryptocurrency. Please see Dr. Sehra’s twitter post below for more info. Article about Inter Planetary File Systems (IPFS) by Dr. Seberino. Every Tuesday at 7:30pm EST we will be discussing what’s going on in the ETC community and beyond. This week’s show (12-06-16) will feature a special guest from the ETC investment community. We will be discussing investment centric topics as well as blockchain in general. A link to the channel/show will be posted below, if you have ideas or questions please let us know. Thank you for subscribing to our latest updates and announcements! Reddit /r/EthereumClassic - 2,867 subscribers. Hi everyone, it’s my pleasure to officially announce the new team known as The Grothendieck Team! The team has been named after Alexander Grothendieck, a German-born French mathematician who became a leading figure in the creation of modern algebraic geometry. They have been committed to Ethereum Classic by IOHK in order to build a Scala client for ETC based on IOHK’s Scorex framework. Plans are in place to bring the team on “Let’s Talk ETC!” to discuss the roadmap and development timeframe for ETC in 2017 (after they have properly reviewed the ETC documentation). Links to the IOHK website, Scorex page, Let’s Talk ETC! youtube channel and ETC blog are posted below. Also, we would love to know more about how the community would like to get updates from the new ETC developers. Please let us know what you might like to see moving forward, post your thoughts in the brainstorming thread below or contact us on Slack, Twitter or Facebook. You can easily get your own Ethereum Classic network node up and running with the phenomenal Parity implementation. The Parity project is managed by Gavin Wood, the author of the Ethereum specification (yellow paper), and his company Ethcore. The set up should take a several hours to download a copy the Ethereum Classic blockchain. It will use about seven gigabytes of storage. Parity is able to survive interuptions such as power outtages. Just restart Parity in the event of an interruption and all should be fine. It is amazing that with these few steps one can easily add an Ethereum Classic node to the network and join the revolution! Sends commands and receives output from Ethereum Classic Parity nodes. Ethereum Classic Parity nodes listen for POST requests. Parity is an amazing solid Ethereum Classic node implementation that you can easily get operational. The aforementioned code examples should be enlightening. Feel free to extend my script and investigate further. Welcome to the future! Hi everyone, thank you for checking out this week’s ETC newsletter! Big shout out and many thanks to all the developers, miners, community members, user’s and investors. The monetary policy meetup in London last week was really special so I’m going to leave it in this week’s newsletter in case anyone missed it. Special thanks again to our panelists, Splix, Snaproll, Avtar and Eversheds LLPwho hosted the event. I’m happy to let everyone know that it was professionally recorded so footage of the event will be released soon. I leaving in the introduction of the new IOHK dev team dubbed “The Grothendieck Team” as well as the monetary policy update from previous newsletters since it’s still the focus of many discussions throughout the community. Be sure to check out ETC newspaper updated daily “ETC.today”, it’s a pleasure to read and I really recommend it. We also have aninstructional video series on mining that our friends over at Epool just started. Additionally, there is another article from Dr. Seberino about setting up an ETC node as well as an article fromcryptocoinsnews.com. Thank you for taking the time to read and distribute this newsletter, looking forward to hearing your thoughts. ETC monetary policy meetup was excellent! An update on what has happened so far in the ETC Ecosystem. A presentation by ETC dev “Splix”. The event was professionally recorded so expect some great media of the event coming out soon. In case you missed it, last week we officially announce the new team known as The Grothendieck Team! The team has been named after Alexander Grothendieck, a German-born French mathematician who became a leading figure in the creation of modern algebraic geometry. They have been committed to Ethereum Classic by IOHK in order to build a Scala client for ETC based on IOHK’s Scorex framework. Plans are in place to bring the team on “Let’s Talk ETC!” to discuss the roadmap and development timeframe for ETC in 2017 (after they have properly reviewed the ETC documentation). Links to the IOHK website, Scorex page, Let’s Talk ETC! youtube channel and ETC blog are posted below. ETC Monetary Policy Proposal by @snaproll is now officially out as ECIP-1017 "This ECIP proposes a solution to the Ethereum Classic Monetary Policy to adjust, with finality, the current emission schedule implementation of 14.0625ETC per block in perpetuity. The solution proposed introduces a theoretical upper bound on the maximum absolute number of ETC and introduces a method of degraded emission over time. 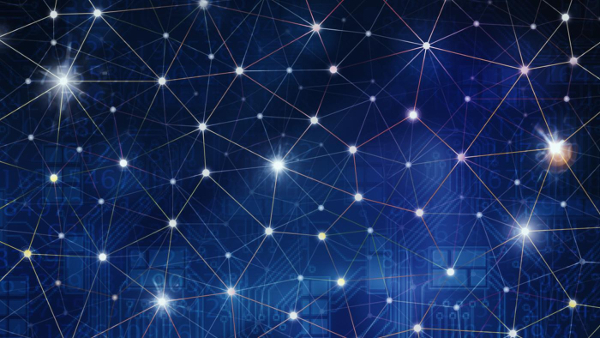 In addition, this ECIP describes the requirements associated with maintaining this emission schedule through a potential change of the network’s consensus algorithm, from its currentEthash based Proof of Work to a possible POS or POW/POS hybrid model." Please see the full post from github and reddit at the links below. https://www.reddit.com/r/EthereumClassic/comments/5cm582/monetary_policy_update/ Monetary policy discussions are still in progress on many platforms. However, most of the conversation seems to be taking place on the #monetary_policy channel on slack. Please join us on Slack using the following link. https://ethereumclassic.herokuapp.com/ For more information on community participation please see this call to action post for guidance. Ethereum Classic Today! Your daily hit of ETC, Bitcoin, blockchain news and updates. Instructional video series on mining released by Epool. Article from Dr. Seberino about setting up an Ethereum Classic node. Every Tuesday at 7:30pm EST we will be discussing what’s going on in the ETC community and beyond. This weeks show (12-20-16) features special guest Matt M aka “Snaproll” who is the creator of the monetary policy proposal featured in this newsletter. We will discuss monetary policy, ETC and blockchain in general. A link to the channel/show will be posted below, if you have ideas or questions please let us know. Thank you for subscribing to our latest updates and announcements! Reddit /r/EthereumClassic - 2,836 subscribers.